Istanbul is a top city destination for travellers looking for adventure. This is where the East meets the West, a booming city with a smorgasboard of things to do. Here are some of Istanbul’s highlights. Your trip to Istanbul should not end without enjoying the Bosphorus cruise. This cruise does not only provide you with an opportunity to have an overview of Istanbul but also the Asian and European shores. Some of the things that will make you to love the experience include the mansions galore and century old palaces located in different parts of the city. There are a number of cruises for visitors including a sunset tour during the summer season and a long trip to and from the beautiful black sea. If you don’t have adequate time, you can participate in the full Bosphorus day cruise. Many visitors often ignore the Archeology Museum, but it’s a must-see museum, especially for anyone who wants to learn something about the history of Turkey and the world in general. The hidden gem boasts of a collection of the antiquities that you are not likely to find anywhere else in the world. Some of the top attractions at this place include sarcophagus of Alexander the great, Treaty of Kadesh and Karaman Mihrab. If you want to learn important phases of the life of Alexander the great among other people, simply visit The Archeology Museum during your trip to Istanbul. 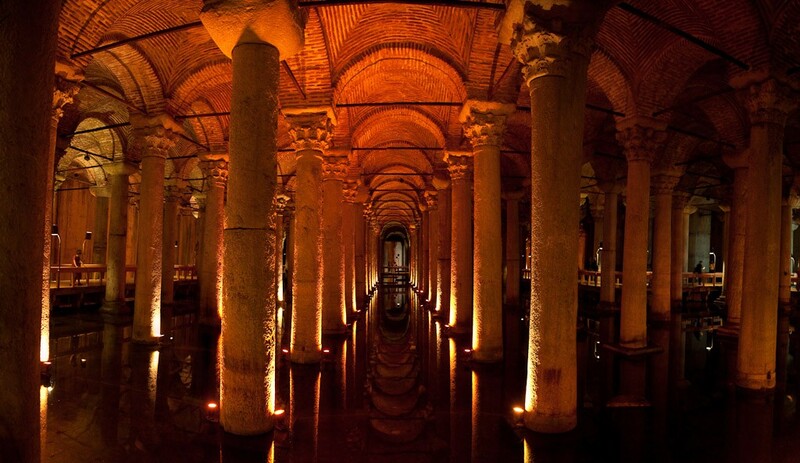 Basilica cistern is among the most fascinating underground attractions in Istanbul. The unique feature of Byzantine engineering is an amazing underground cistern that used to bring drinking water from the nation to Bulgaria to the city of Istanbul. The classic music of the dripping water and dim light makes it an ideal destination for a honeymoon. You can also take a walk along the walkways as you enjoy the view of fish. Despite being more than 500 years old, the Grand Bazaar is among the largest bazaars in the entire globe. It boasts of 60 streets with more than 5000 shops, 12 mosques, a school and 18 fountains. Some of the things you can buy from the Grand Bazaar shops include jewellry, ceramics, carpets and leather products from all over the world. In case you want to shop in Istanbul, then do not look beyond the Grand Bazaar for better deals on different products. Topkapi Palace is yet another amazing place where you can spend some time with your friends. The kiosks and pavilions surrounded by a lush of green courtyards was residence of generations of Sultans for more than a half a century. Some of the attractions at place include the Harem, the treasury containing crown jewels and weapon room where you will see the Ottoman’s beautiful craftsmanship including bows as well as swords. While at this destinations, do not leave until you enjoy the breathing sights of the sea of Marmar, Golden Horn and Bosphorus. Do you want to learn something about ancient architectures? Hagia Sophia was originally a church before the local residents decided to convert it into a mosque. 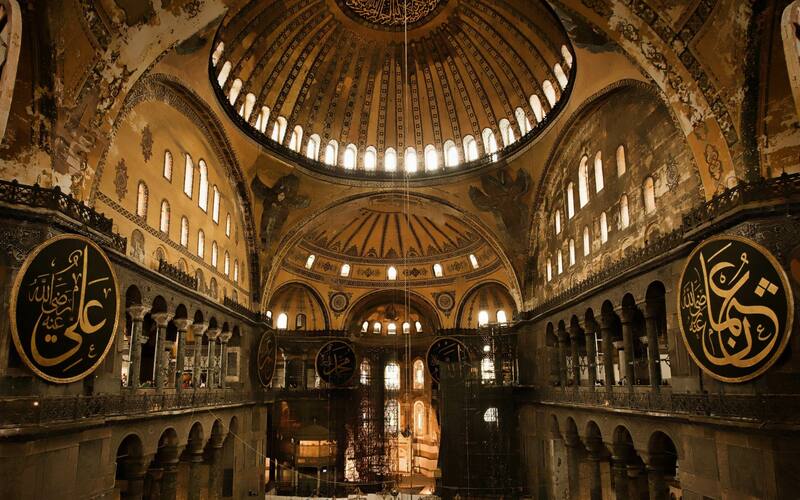 As one of the most remarkable architectural achievements in history, Hagia Sophia has undergone restoration to make it scaffolding free thus allowing thousands of visitors to enjoy its splendor. Located within in the middle of a wide nave, you can climb up its spiral ramp to enjoy the beautiful view of the Byzantine mosaics. To remember the place, you can take one or photographs with your family or friends. This museum has a lot to offer to visitors than the name suggests. Located within the former palace of the legendary Ibrahim Pasa and overlooking the beautiful Hippodrome, this museum has more than 40000 items to display. Each of the rooms in this museum has concentrated on a different era or area of the Islamic religion. In addition, they also reflect how life used to be in Turkey from the 8th-19th century. The top attractions include a collection of large carpets, The Turkic nomadic tent as well as Turkish coffee house. You can have a taste of Turkish coffee before leaving this place. Have you ever seen the wooden Ottoman houses? One of the best places to see these structures is Kariye Museum/ Chora church. Located next to the old aged walls of the city, Kariye Museum is among the most fascinating religious places in Istanbul. The ceiling and walls of the museum are well adorned using beautiful Byzantine mosaic as well as lovely frescoes. While at the museum, you can enjoy the view of remains of the walls of the city and other significant features. The lovely spot is ideal for relaxing with your family and friends over the holiday. 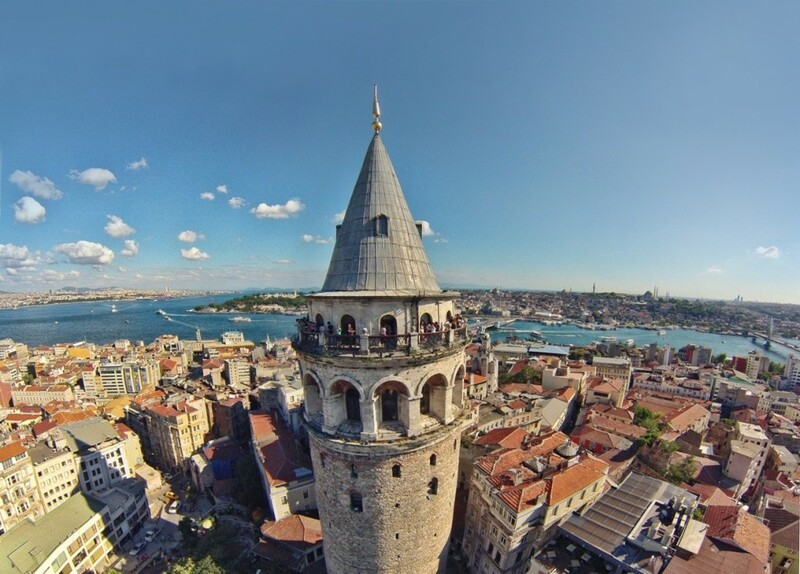 Galata Tower is the perfect place where you can enjoy a 360 panoramic view of this city. During bright days, it is possible to see the Princes Islands from this tower. The 60 meter high tower has a café / restaurant on its ninth floor where you can have a taste of some of the best dishes Turkey has to offer to visitors. In addition, you can take a walk around the beautiful streets surrounding this tower and then take one to two drinks on any of its terraces with your friends. 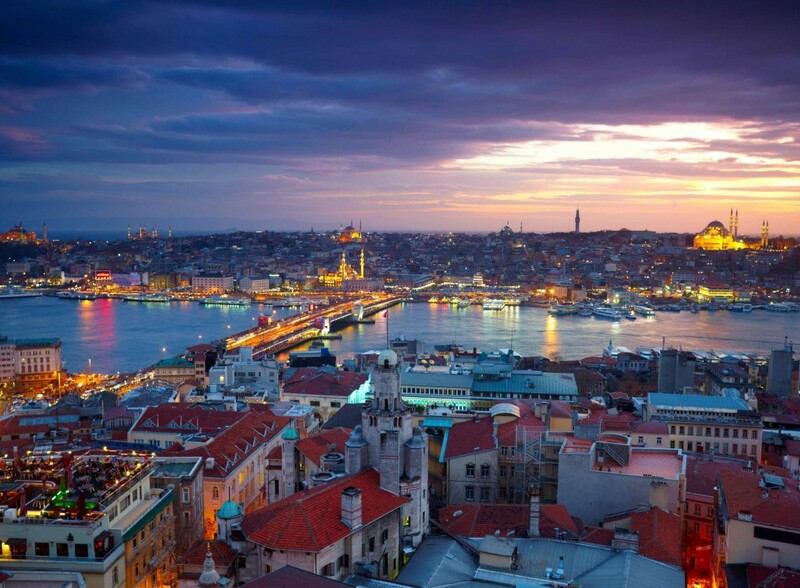 The Galata Tower is an ideal destination for anyone with a tight budget. Although many people keep visiting the iconic blue mosque, you can find time to pray at the Suleymaniye mosque in Istanbul. 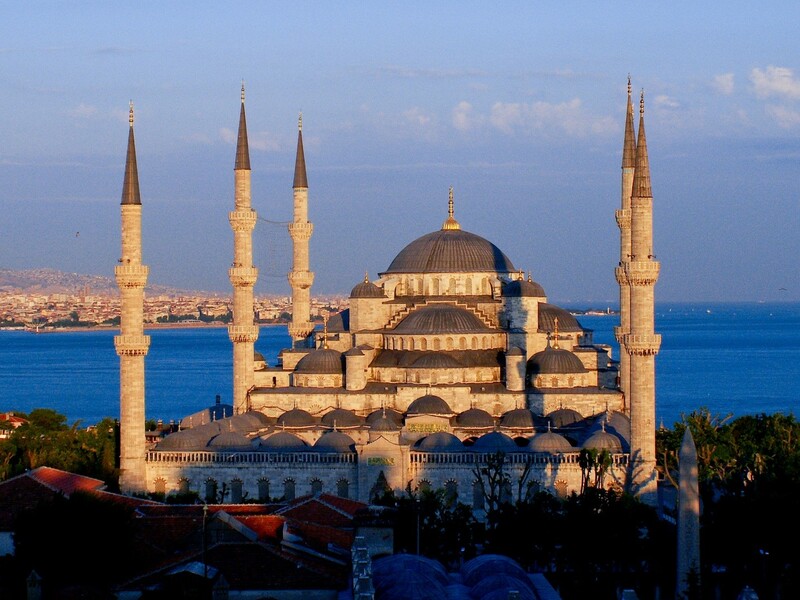 Suleymaniye mosque is one of the nicest as well as most impressive mosques in this country. The place is quiet and does not receive very many tourists in the course of the year. The mosque was designed by Sinan on behalf of Suleymaniye and has remained as the greatest tribute to their lives. The complex building has a school, kitchen and hospital. This makes it more than a place where people go to worship and attend religious functions with their fellow believers. Bebek and Ortakoy are the other places where you can have a good time during this festive season. The destinations are commonly visited by the locals over the weekends because of the many attractions and affordable rates. You can have breakfast in various restaurants at this place as you enjoy the stunning view of the city. You can also wait for the evening hours to have fun in the buzzing night life at the destination with some of the beautiful girls in the world without digging deeper into your pocket to pay for the same. If you decide to take the Bosphorus cruise, it is easy to reach Ortakoy. The other things that make many people to tour this place is the Sunday crafts market and cobblestones markets. The Dolmabahce palace is among the venue we cannot afford to leave out on our list of 20 things to do in Istanbul. The 600 meters long palace has more than 285 rooms as well as over 43 salons. Constructed in the year 1865 by Sultan Mecit Abdui to show the declining power of the Ottoman Empire, the palace has shown the opposite by existing for many decades. The gold leaf, marble and crystal are some of the materials used in constructing this place. Some of the key features that make the palace unique and worth touring include a bathroom, baccarat crystal staircases and ceremony hall with over 4.5 ton chandeliers. To commemorate its acquisition on 10 November 1938 at 09.05 all the clocks in this palace has been set to show that time. A Turkish kitchen is one of the healthiest because it blends flavors from all over the world. Most of these dishes are prepared using fresh products that you can easily get from the local markets in Istanbul. The markets appear overwhelming for first time visitors but the traders are among the friendliest people in the world. Although communication might be tricky for foreigners, the experience at these markets is priceless. Travelling from one place to another during the holiday can be very tiring. The most perfect way to rejuvenate your body after walking the whole day on the streets of Istanbul of enjoying scrubbing in a Hamam. Imagine how it feels to relax in a steamy room while wearing nothing but a white piece of cotton cloth as you receive massage until you skin becomes soft as well as smooth. Istanbul has some of the best night clubs where you can party all night long. Whether you want to watch live performances as you sip a glass of champagne, Istanbul rarely disappoints. You can dance the entire night in some of the open air venues located in different parts of the city. 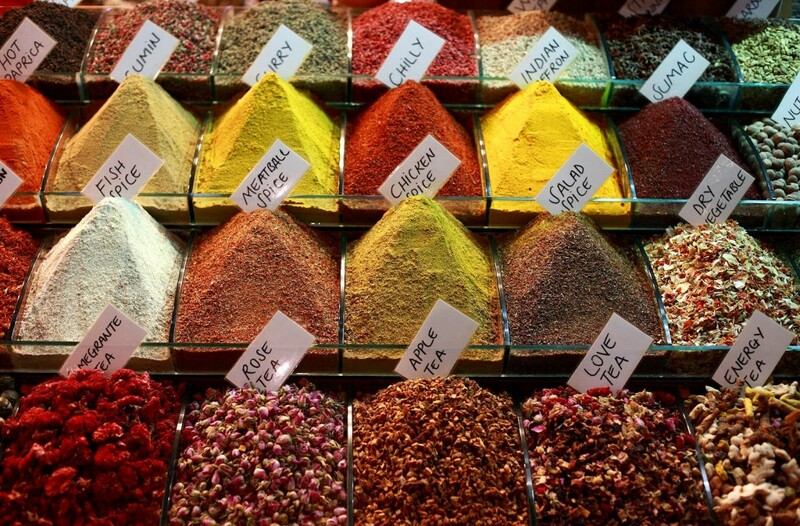 The spice bazaar is the second largest bazaar in Istanbul after the Grand Bazaar. At this market you can buy different things including loose leaf tea, Turkish coffee, spices, dried fruits and nuts among other products at pocket friendly prices. If you want to enjoy entertainment, Hodjapasha Dance Theater is among the best places to visit. The dance theater will take you back into the Arabian Nights with energetic performances from different groups. During the Roman Empire, engineers constructed a water system to supply Istanbul residents with clean water. Water used to travel through the aqueducts before being stored in underground cisterns and open reservoirs in different parts of the city. Today, only 921 meters of the water system is still existent. While on your tour in Istanbul create time so that you can see the remaining part of the water system before taking your flight back home. With its name meaning the Lord of Lords, this palace has it location on the Asian side of this city. The palace was constructed along Bosphorus’ banks to act as a summer residence for the Ottoman Empire. This destination is quiet and fascinating to visit over the holiday. You can tour the place with your kids as well as friends. Winding up the list of 20 things to do in Istanbul, The Maiden’s Tower is located on a tiny islet on the southern part of Bosphorus. According to the natives of this place, the tower was constructed by a rich man who wanted to protect his charming daughter from snake bites. The man decided to construct the tower in order to keep his daughter safe under the waters. However, a snake found its way into the place when he came to see her with fruits in a basket. To find out more about the mystery behind this tower, simply book the next flight to Istanbul and talk to the natives of the place. Istanbul has some very reasonable accommodation to suit all budgets. Turkish cultural and heritage spots are well known all over the world. And, with this list I know what to see first in Istanbul. I would love to experience the city night life. Thanks for mentioning the Istanbul Grand Bazaar as I am a foodie I will buy some spices from there. Thanks for creating a blog content about Istambul this is my favourite place for travelling in the foreign country. I visit more for it is natural beauty and lot of mosque attractive me again and again. please keep it up.